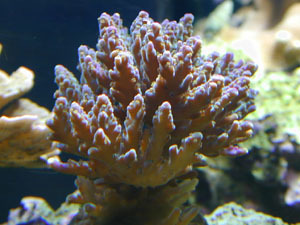 Acropora, staghorn, or sps are all part of what can be called the 'small polyped stony' corals ( although some may argue against it ). The reason for the term is that these corals are comprised of small polyps which deposit and form encrusting or branching forms. 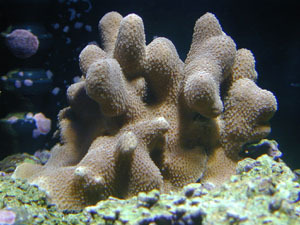 Of the four basic groups of corals in the hobby ( ie: colonial polyps, soft corals, hard corals and SPS corals ) they were the last group available to the hobby. 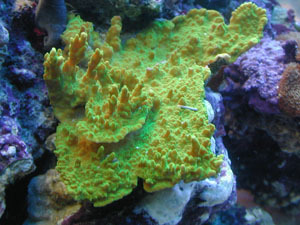 Their appeal is due to the variety of colors, fast growth, and 'frag-ability'. Their colors range from brown, brown with colorful tips to brilliant greens, blues and reds.What determines their color is still a subject that is highly debatable. Some believe it is the result of high alkalinity and carbonate hardness of the water. Others believe it is due to the intensity or high 'kelvin' temperature color of the lights. 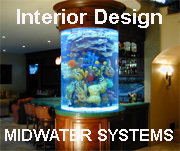 It is agreed though that very strong lighting, such as metal hilide lighting, is a requirement. 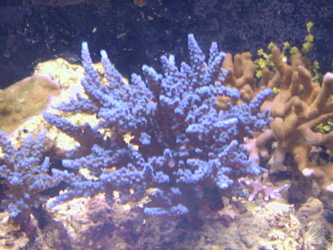 Under the more intense lighting, along with strong water flow and calcium supplements, these corals can grow at a rather excellerated pace. Some can grow up to 4 or 6 inches per year in a captive enviroment. 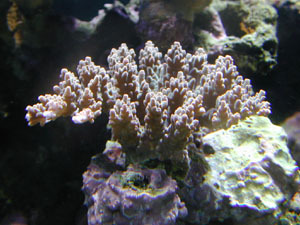 As hobbyists achieve greater sucsess with these corals the need to prune, trim or thin-out a colony becomes necessary. 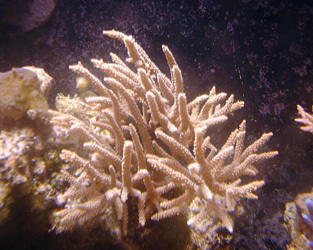 By snipping branches off an existing colony and adhering them to another rock, or spot, the coral can recuperate and start an entirely new colony. This process in the hobby is refered to as ' fragging' or fragmentation. A central base radiating outwards, possibly table-like, into many branches. A central base radiating outwards into many branches. A central base radiating outwards into thick branches. 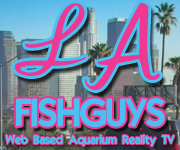 Generally sky blue in color. A central base radiating outwards into many branches. Fast growing. Dish or vase shaped with folds in its shape. Leading edges can be of bright color. Plating or encrusting form. Branches can develope and extend away from its base. 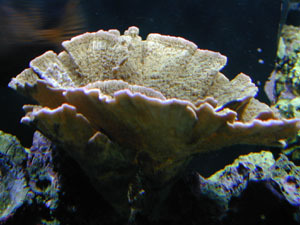 Polyps can envelope the entire base and branches. Plating or encrusting form. Branches can develope and extend away from its base. 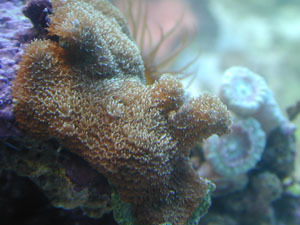 Polyps are very small and sparse. Plating or encrusting form. Branches can develope and extend away from its base. 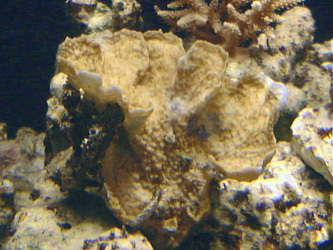 Polyps envelope the entire base and branches. Plating or encrusting form. Thick branches develope and extend away from its base. Polyps envelope the entire base and branches.